The following is an overview of human rights violations in Iran on January 3rd, 2019 based on the information compiled and verified by Human Rights Activists News Agency (HRANA). (1) Kourosh Karampour, a teacher and a poet, was beaten and arrested in Abadan. He had been summoned to Ministry of Education because of his interviews in support of teachers’ strikes and protests in the last few months. (2) Mohsen Valadkhani, a detained Telegram activist, was released from prison after finishing his one-year sentence. He was charged with ‘insulting the Supreme Leader’ and ‘propaganda against the state’. (3) Child abuse in Mashhad caused the death of a six-year-old girl. Hadiseh was transferred to a hospital on December 25th and died yesterday. Her body shows signs of torture such as burn wound infections on her genital and the rest of her body. (4) Ahmad Taghavi, a retired teacher and a union activist, was arrested in the city of Abhar in Zanjan province. The reason of his arrest and his whereabouts are unknown. (5) Four Azerbaijani Turkic minority rights activists were released on bail in Sarab. Sahand Moali, Vahid Nourahmadi, Heidar Mazinani, and Mohammad Ranjbari had been arrested on December 31. (6) Mehdi Yarrahi, a pop singer, was banned from working because he wore work costume of the workers of Iran National Steel Company on the stage. Also, “Jame Sabz”, the producer company of his new music video “Pareh Sang”, in which he pointed out Khuzestan issues, was suspended. (7) The head of Housing Foundation in Golestan province reported that approximately 128 thousand houses and schools in villages are prone to natural disasters. This would cause catastrophes and villagers’ migration. (8) Four human rights organizations published an annual report of Military forces monitoring in remote areas: more than 300 injuries and deaths in 11 provinces. (9) Mohsen Farahmand and Mohammad Dadresi were released on bail in Marivan. Hamid Parvazeh, Mohammad Parvazeh, and Salman Afra are still in prison. They are accused of ‘cooperation with a Kurdish opposition group’ and were denied access to a lawyer. (10) Majid Khomami Asl was executed in Nowshahr today. He was charged with murder in a so-called honor-killing. (11) Two mines were shut down over environmental pollution concerns. (12) Department of Environment reported the arrest of 44 poachers in Mahabad and 199 poachers in Ardabil during the last eight months. (13) 12 students were poisoned by a nonstandard gas heater in a Valiasr school of Tabriz. Two of them were transferred to hospital. Nonstandard heaters used in schools reportedly have caused catastrophes. (14) One worker died and three were injured because of unsafe workplaces in Tabriz and Yazd on January 3, 2019. (15) Hasan Shahreza, a detained Gonabadi dervish, was denied medical care in Fashafuieh prison. He has several shots of police shotgun in his body since he was arrested 10 months ago. Detained dervishes reportedly tried to take out bullets by tuna can lid. (16) The city services workers of Borujerd, Dorud, Aleshtar, Kuhdasht, Chaghabal, and Khorramabad in Lorestan province have 115 billion Toman [$11M] unpaid wages combined. They have at least five months unpaid wages. Human Rights Activists News Agency (HRANA) – Mostafa Daneshjoo, an attorney, is currently serving prison time for his legal advocacy and defense of the Gonabadi Dervishes, a religious minority. These days, Daneshjoo is sacrificing more than his freedom: he is now being forced to sacrifice his health. Daneshjoo, despite suffering from acute lung and heart disease, has been barred access to medical attention of any kind since he was arrested on July 7, 2018. According to Majzooban Noor, the Gonabadi Dervish Community News Website, when Daneshjoo was first detained, his family was cut off from contact with him for months. 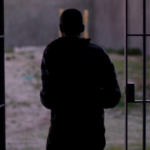 When they were finally permitted to see him in Ward 4 of Evin Prison, their relief was mingled with shock at the sight of his severely declining health. Mostafa Daneshjoo is the former managing director of the Majzooban Noor website. While the clinic at Evin Prison has Daneshjoo’s medical file on hand, authorities–citing Daneshjoo’s prior arrest–are preventing him from seeking help, even from the generalists at the Evin Prison Clinic. Daneshjoo was arrested in his mother’s home by seven armed officers in the early morning of July 7th. After spending 45 days in solitary confinement in Ward 209 of the Ministry of Intelligence detention center, he was transferred to Evin’s Quarantine Ward before being taken to Ward 4, typically reserved for prisoners with financial charges. Daneshjoo, who is asthmatic, experienced a sharp increase in symptoms after spending 45 days in a solitary cell without ventilation. While he was taken to Taleqani Hospital on July 21st, he was turned away without receiving care within a few hours. 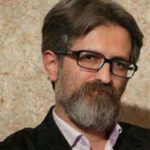 Daneshjoo’s case file indicates that his current arrest warrant was issued by Branch 3 of the Shahid Moghaddas Prosecutor’s Office in Evin Prison. In a phone conversation at the time, he explained he was being pursued by authorities for his affiliation with the Dervishes who were involved in the Golestan Haftom incident. Authorities have reportedly wielded further punitive measures against him, according to a letter published in May 2017 by the Azad University Security Office, which announced that Daneshjoo was being prevented from pursuing his graduate studies in Penal Law and Criminology. During prior defense proceedings of a number of Gonabadi Dervishes, following punitive reports from Iranian security agencies, Daneshjoo’s licence to practice law was revoked. He was sentenced — along with other attorneys, Dervish advocates, and his Majzooban Noor co-managers– to imprisonment on charges of “Membership in the Dervish anti-security sect,” “Acting against national security,” “Propaganda against the regime,” and “Disrupting public opinion.” Between 2011 and 2015, he served his sentence in Ward 350 of Evin Prison and was released in May 2015. Human Rights Activists News Agency (HRANA) – After a violent raid on their sit-in last week, 12 imprisoned Dervishes who began hunger strike after being transferred to solitary confinement have written a letter outlining their demands. According to Majzooban Noor, a website reporting on Dervish issues, the names of the 12 Dervishes are: 1. Ali Bolboli 2. Salehodin Moradi 3. Mohammad Reza Darvishi 4. Abbas Dehghan 5. Ali Mohammad Shahi 6. Mojtaba Biranvand 7. Ali Karimi 8. Jafar Ahmadi 9. Ibrahim Allahbakhshi 10. Heydar Teymouri 11. Majid Yarahmadi 12. Saeed Soltanpour. Heydar Teymouri, Majid Yarahmadi, and Saeed Soltanpour followed suit after nine of their above comrades initiated the strike. The first nine to go on hunger strike had previously written an open letter to make three demands of authorities: that their leader Noor Ali Tabandeh be released from house arrest in Tehran; that Dervish women be released from Gharchak Prison; and that separated Dervish prisoners be freed from solitary confinement and reunified into the same ward. For the past six months, we Dervishes have chosen the path of patience, hoping that those who oppose us will come to their senses and end the harassment and persecution of this country’s citizens, be they first-class citizens or second-class citizens like us. Instead, all we have witnessed is a rise in senselessness, a fall from judiciousness, in those who are supposed to be addressing our concerns. For the past six months, officials and their collaborators have kept our revered master and spiritual leader, Dr Noor Ali Tabandeh, under house arrest. They have thus deprived followers of benefiting from his teachings. Our respected Dervish sisters, who have been imprisoned since February and were wounded there in June, their bodies bloodied, have been taken without trial to Gharchak Prison. In the unsanitary and disease-ridden environment of Gharchak, they are denied access to proper medical care and have been savagely attacked and beaten. Without access to a lawyer, due process, or a fair trial, they have been sentenced to years in prison and deprived of their civil rights. When, alongside our imprisoned brothers, we staged a sit-in to protest the unfair house arrest of our leader and the ordeal of our sisters, instead of hearing our voices and heeding our demands, guards subjected us to batons, electrical shock, and tear gas. They separated us and demonstrated that even inside the walls of the prison, they pursue the dirty politics of sowing division among Gonabadi Sufis, a group that symbolizes unity and solidarity. Seeing that nobody hears our voice, and since the repression against Dervishes takes on a new dimension every day, we hereby announce that until the house arrest of our leader, Majzoob Ali Shah [Noor Ali Tabandeh], is lifted, and our imprisoned sisters are released, and our brothers imprisoned in Fashaouyeh (Great Tehran Penitentiary) are returned from solitary confinement and reunified in the same ward, we will remain on hunger strike. We seek the help of freedom and justice fighters in making our voice heard.